This combination is designed to communicate strategies, solidify culture, develop skills and test leaders. It is also intended to act as a planning tool for the employee and manager for the purpose of career planning and development. In the following diagram, a three pronged approach is proposed for creating an IDP for a professional in an organization. 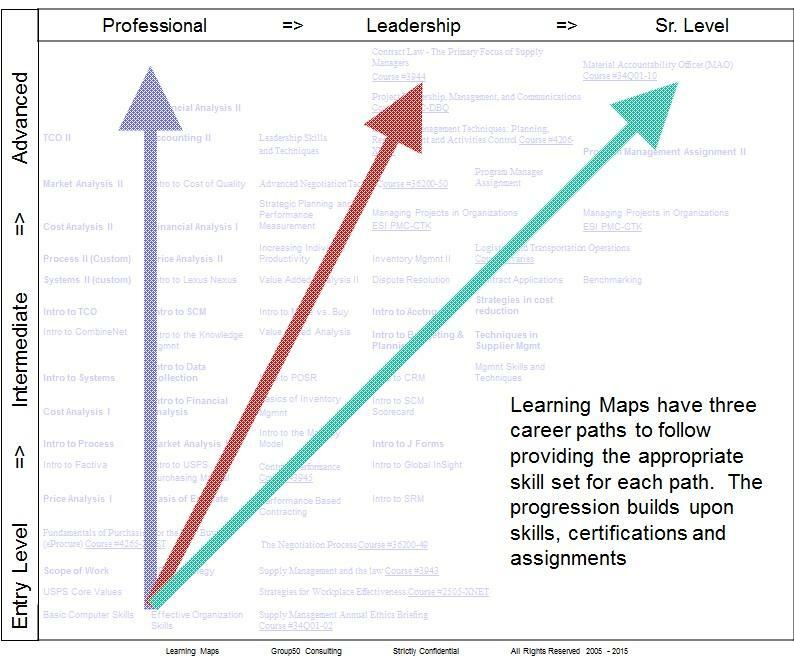 As can be seen in this diagram, the professional career route will have a unique path that is different than the paths required for management or senior leadership to follow. In order to properly develop, learning maps require carefully planned groups of courses and assignments to move people through a specified development path. With the addition of the technology tools available today, on the job training can be easily complimented by unique courses, seminars and certifications on a cost effective basis. In the past, continuing education typically meant significant costs for tuition, attendance to seminars and time off the job, lowering overall productivity. That is not true today. The internet provides a plethora of opportunities for continuing education in the convenience of a professional’s office or home. 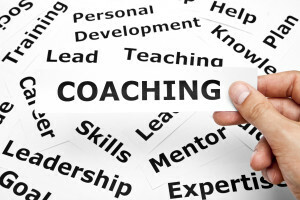 Continuing professional education and certification can be done in bite sized chunks, making it more accessible and provides a high level of scheduling flexibility. Organizations who don’t utilize learning maps and these basic tools will take longer to develop people and will have a poorer operating result. Group50’s organizational development practice incorporates learning maps as one of its knowledge management tools.